Technical education on barriers and absorbers with Sound Seal’s Video series…. How do you crush ice and blow snow in one of the most noise sensitive areas in Southern California? Build an IAC Acoustics Moduline enclosure over the crusher….attempted noise reduction over 40 dBA passes with flying colors! IAC NoiseFoil panel installation begins at Santa Fe Springs Well no 12. 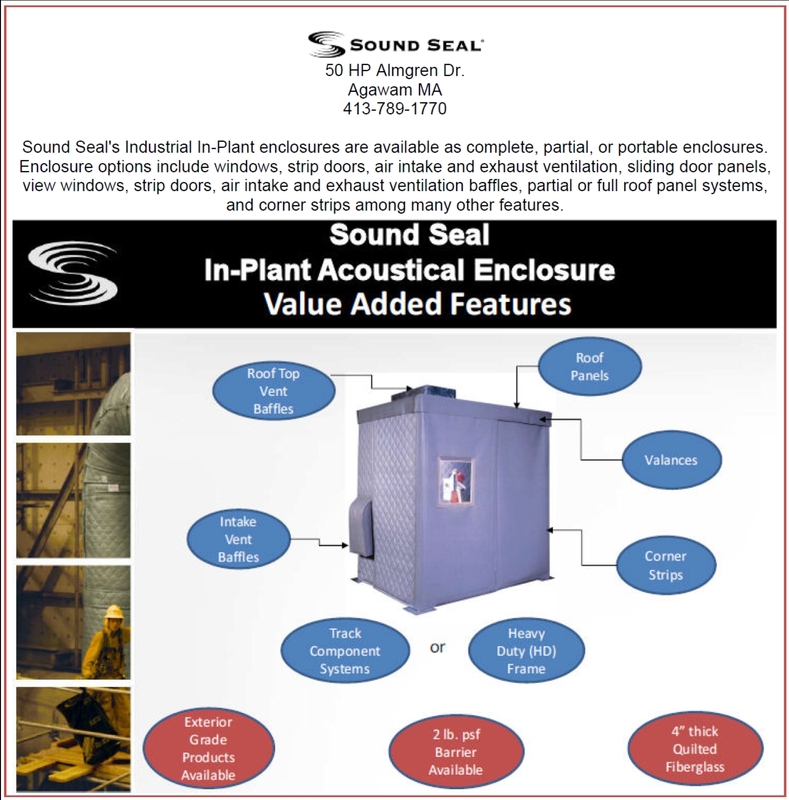 As designed by AKM Consulting Engineers, built by Kana Engineering Group, IAC Acoustics Noise foil panels provide durable, effective noise control to limit reverberation in the plant. This dual benefit cuts noise inside the building making the plant more comfortable for operators and reduces the noise that might emanate from the facility. IAC 2″ absorption panels are tested to deliver as high as 1.48 NRC when installed with maximum edge exposure in an array with 3″ spacing…each panel contributing 1.00 NRC (face only). Standard powder coated perforated panels and joiners mean attractive surfaces and life time serviceability for the plant. 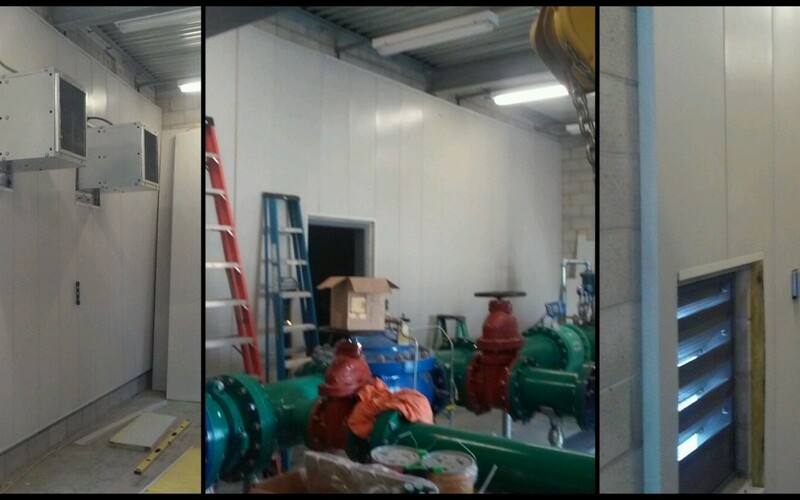 Soundproof doors, acoustic louvers and silencers serve to further reduce the noise in the community for the new state-of-the-art facility. 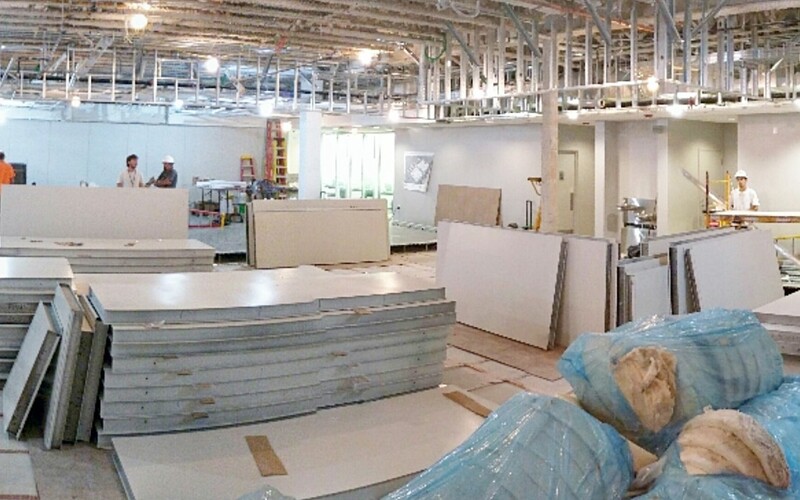 AC Bronx Engineering and Sales to be relocated to new Bronx office complex and new manufacturing facility is being built. Transition expects to be complete by the end of the year 2014. “All commercial activities for our US commercial noise customers will be relocated to a new office facility in the New York area. This will keep all commercial operations close by to ensure continued focus on service delivery and close customer relationships and retain key skills. The new state of the art Lincoln manufacturing facility will allow us to drive improved manufacturing processes, delivery performance and product quality to further improve our performance for our customers and grow the business.